Select to export only Products, and click Export. Since you need to update only Handle field, you don’t need the other fields and additional rows in the import file. Clean it up by removing columns which you don’t want to update. 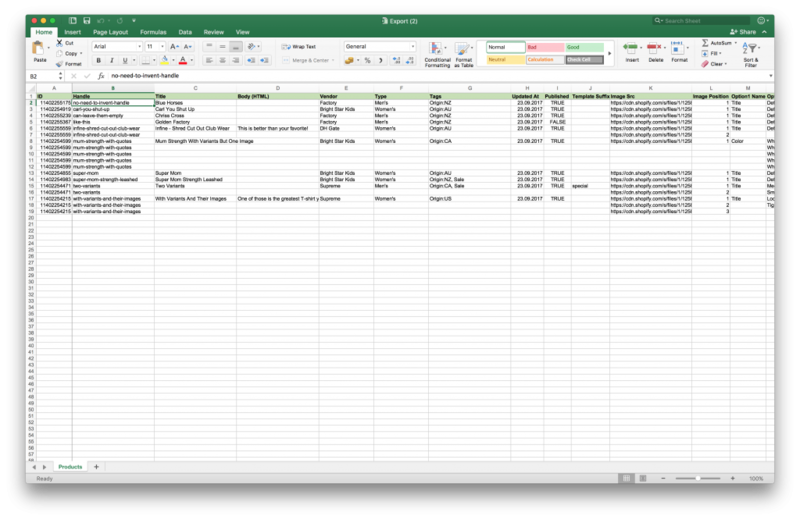 Also remove the additional rows, so that you have only one row per Product. Best way to do that in Excel is filter to show all rows where Title is Blank. And then delete those rows. Do the import from the app. 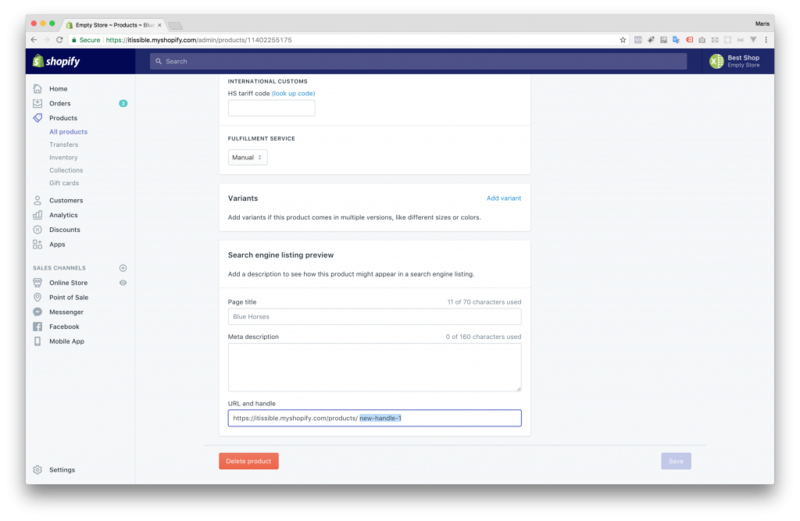 After import is complete, go to check your new product handles in Shopify Admin. It’s located in the Product page, block “Search engine listing preview”, when you click the link “Edit website SEO”. 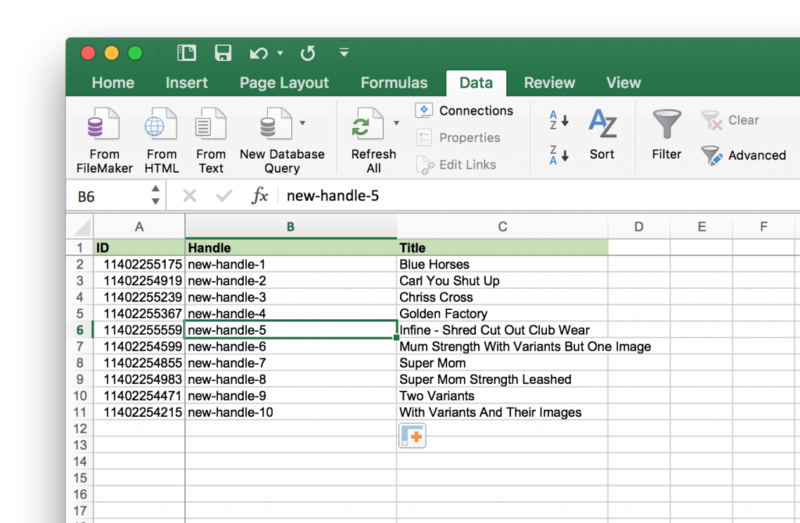 You can update handles of Smart Collections and Custom Collections the same way as Product Handles. You can update e-mails of Customers the same way. You can update any other field or combination of fields by the same principle. If you need to update Variant fields, look into this tutorial: Shopify Product Price Bulk Update. It will not create additional Products (or any other items), because it will identify by ID field that you need to update existing Product (or other item) with this import. 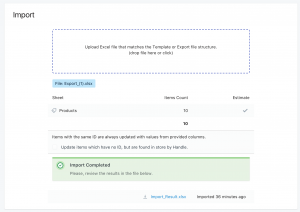 Install the Bulk Import Export Update with Excel app from Shopify AppStore and try bulk update for Free on your own store. If you need to update Product Variants, look into this Tutorial: Shopify Product Price Bulk Update. Read the detailed Field Descriptions. If you are not sure how to prepare the import file, ask our Support, we will teach you, or do that for you.